Millbrook Press (Tm), 9781467795197, 32pp. Porcupine is going on a picnic First he's joined by Koala. Then Squirrel scampers down a nearby tree. Porcupine offers to share his clover. But Koala eats eucalyptus, and Squirrel loves acorns What will they all eat? Luckily each animal has brought along the perfect food. Tortoise, Butterfly, Ostrich, and other animals join the fun. Everything is going well until Tiger shows up. 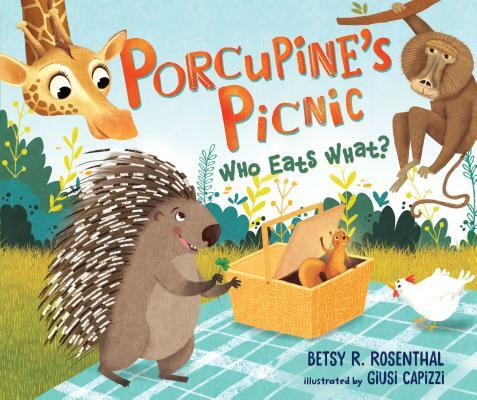 Uh-oh This sweet and slightly scary story is the perfect bite-sized introduction to herbivores, omnivores, and carnivores.